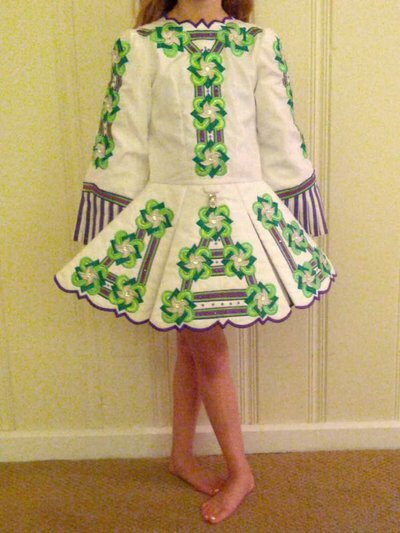 Striking White, Purple, and Kelly Green Dress worn by a novice dancer. Swarovski crystals on both the front and back. Many compliments given on this dress from fellow dancers. Dress comes from a smoke free home and has been stored flat. Price in US dollars and includes, dress, head piece, bloomers, number clip, and shipping. Returns negotiable. Asking Price: $US200 obo. Shipping costs are included for my own country, overseas shipping is extra. Returns are negotiable.